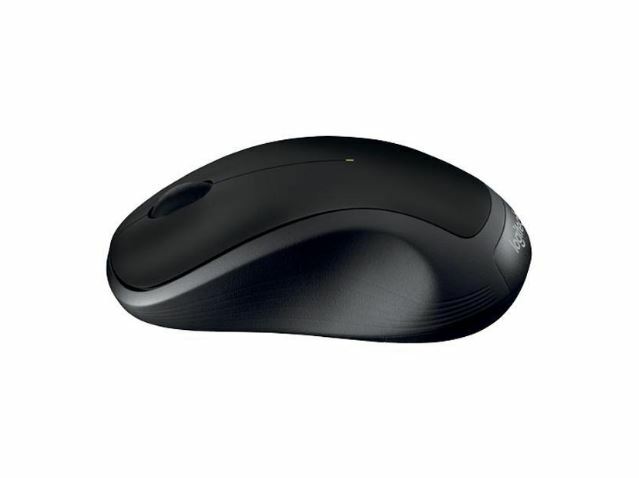 The Logitech M310 Wireless Laser Mouse makes productivity easy and comfortable thanks to precision laser tracking, a hand-friendly contoured design and extra-long battery life. 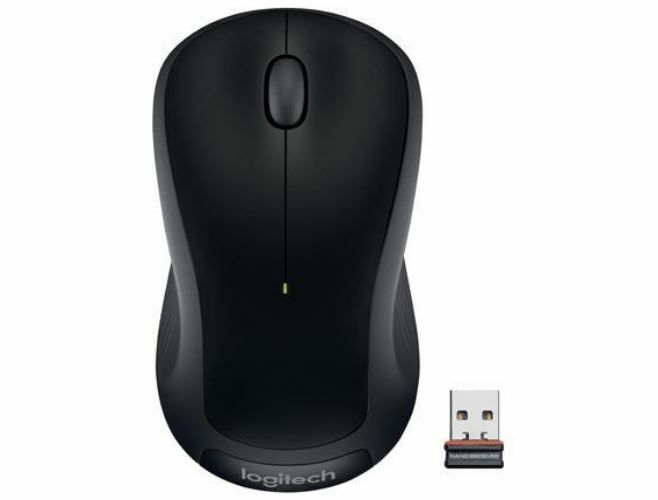 The full-size Logitech M310 Wireless Mouse offers an ergonomic design to keep your hand comfortable over hours of use, whether you're left-handed or right-handed. Wireless connectivity minimizes cord clutter at your desk, while the M310 mouse's built-in laser sensor helps boost your productivity with responsive tracking. Simply connect its nano receiver to your computer's USB port to get started with your wireless mouse, no additional software downloads or installation is required. The wireless nano receiver's 2.4 GHz signal let you control your cursor from up to 33 feet away. 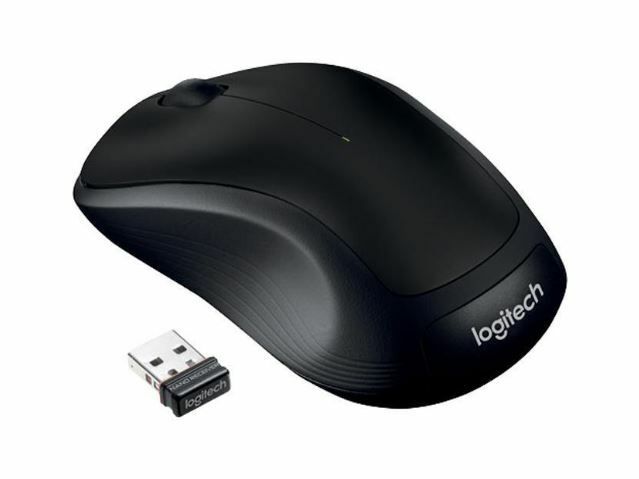 I purchased this logitech full size mouse to replace an earlier one that died after several years of use. 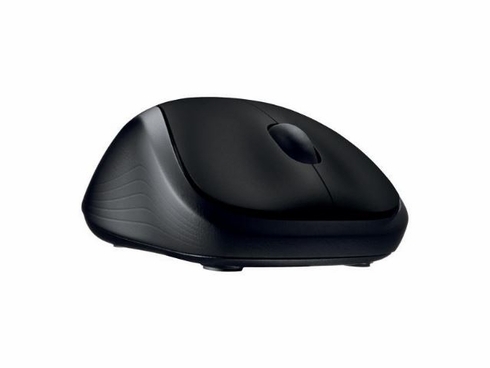 This one has a ergonomically comfortable design with nice rubber sides for your thumb to rest. I was torn between the black one and the red & black one, but finally decided on the black one. The red & black one is just as sleek. Just plug the nano receiver into the usb port on the side of your laptop, and it's ready to go. No fuss. Would purchase again. I bought this mouse to use with my laptop. I used it only gently; i honestly do not spend much time on my laptop. It worked perfectly for 5 months; i was thoroughly pleased with it. Then, it suddenly stopped working. I purchased it at a brick and mortar store, so too late to return it. So, i contacted logitech and they gave me the run-around, not willing to replace their obviously faulty product. I tried replacing batteries, switching usb ports, everything they told me to do. It still will not work and logitech will not honor their warranty. I will not be replacing this mouse with another logitech. Easy to use. And works perfectly. I have found the m310 mice to always be very reliable. Works fabulous! Great back up and ergo for my small hand. Plus with the usb stored on the underside you can plug it into just about anything. Even with new battery i have to slide the mouse across the pad numerous times to get the cursor to move. Changing cursor speed does not change anything. Sometimes the cursor disappears completely. The range with a new battery is only three feet. Might as well use a wired mouse. Basic mouse, does what it's supposed to, and i never have connection issues on any of the three different laptops i've used it on. Great price. Fast delivery. Smooth traction. Reliable.